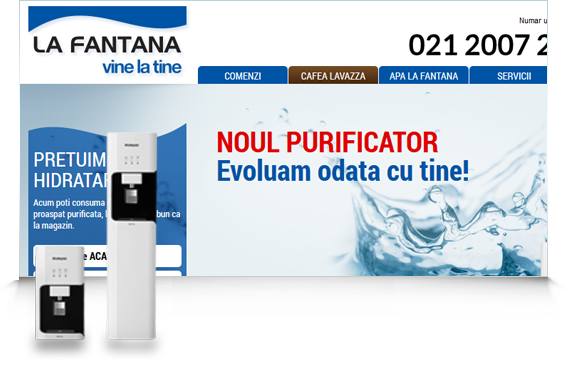 La Fantana is the leader distributors of water in Romania and Serbia, with over 1,5 million customers. 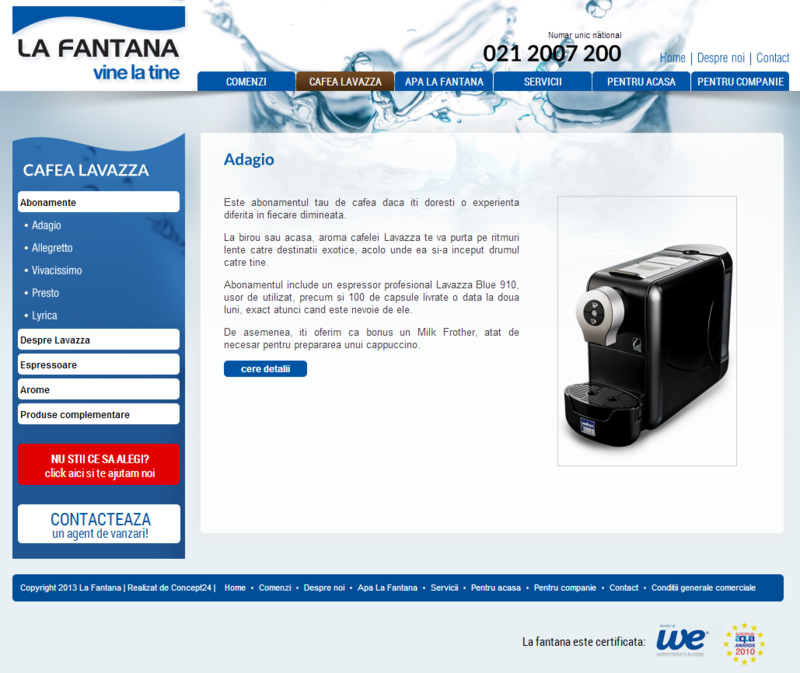 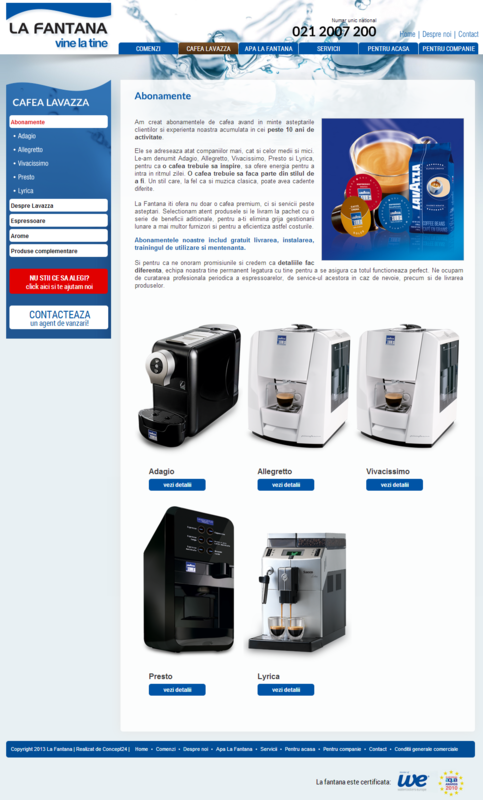 The website we developed for La Fantana is both a company presentation website but also an online catalogue. 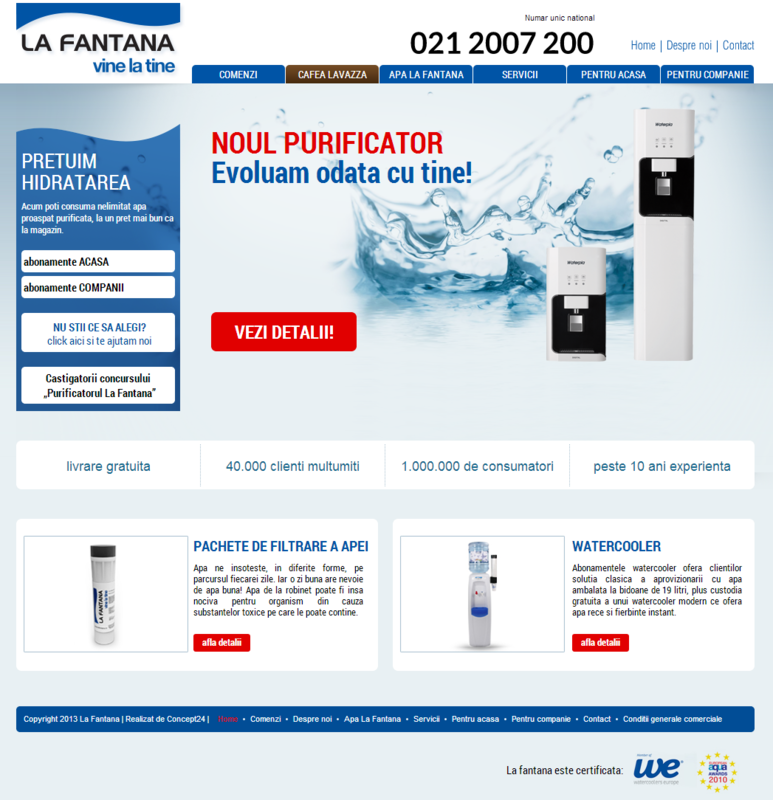 The vast and dynamic offer is represented in an attractive and intuitive manner, the website representing one the most important sources of new clients for La Fantana.